The Schroth Method was established in Germany in 1921, by Katharina Schroth. It is a technique for scoliosis rehabilitation that includes a proprietary breathing technique taught according to a scoliosis patient’s individual scoliosis curve pattern. Also referred to as Schroth rotational breathing–or rotational angular breathing–the Schroth method is a three-dimensional scoliosis exercise approach designed to help improve scoliosis. Patients who learn and practice the Schroth method work toward creating spinal stabilization and an improved, more balanced looking postural appearance. 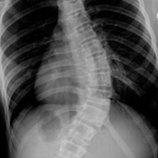 Adolescents have the potential to improve their scoliosis, especially when treatment starts early after diagnosis. Dr. Moramarco was instrumental in introducing the Schroth method in the United States when he established Scoliosis 3DC near Boston in 2007. The Schroth Method helps improve the appearance of scoliosis by bringing the spinal musculature supporting the spine into balance. The scoliosis-specific exercises prescribed are dictated by an individual’s unique scoliosis curve pattern. The Schroth Method exercises are an effective nonsurgical way to manage scoliosis. The method originated when Katharina was told she had scoliosis and doctors fit her with a scoliosis brace made of steel. Inspired to improve scoliosis without wearing a brace, she immediately began to work to devise a way to stop scoliosis from progressing. It soon became her life’s work and she began to help others with scoliosis as well. Her daughter, Christa Schroth (later, Christa Lehnert-Schroth) played an instrumental role in the development of the Schroth Method. She assisted her mother from a young age and eventually became a physical therapist. Her contributions throughout her lifetime, up until her death in 2015 helped to reinforce and expand the benefits of the method. Christa’s son, Dr. Hans-Rudolf Weisss is the third generation to carry on the family legacy. An orthopedic physician, he is the former medical director of the clinic bearing his grandmother’s name having overseen the treatment of tens of thousands of patients with scoliosis over the years. His knowledge of scoliosis is immeasurable. He is widely published and there is no higher authority on the topic of conservative scoliosis treatment and 3D scoliosis bracing. Dr. Weiss improved the method keeping true to the original concepts created by his grandmother and this newest version is called Schroth Best Practice®. Dr. Moramarco has had the pleasure of knowing and working with Dr. Weiss since 2002. The newest version of the Schroth method offers improved alternatives for patients with scoliosis making it easier for patients to learn and understand. The Schroth Best Practice has now spread all over the globe. It is for all scoliosis patients, but especially those looking for alternatives to watch and wait or looking to avoid surgery, manage pain, or halt curve progression the newest form of the Schroth method is an excellent way to start. Dr. Moramarco is the country’s foremost Schroth method expert. He is the Advanced Schroth Best Practice instructor in the United States. Patients considering the Schroth method should be aware of the differences in the different Schroth method schools. Schroth Best Practice is the only version currently endorsed by Dr. Weiss. There is a significant difference among Schroth schools and teaching methods. To learn more about the history of the Schroth Method, link here.